Heart Shape Sandwich Crust/Cookie Cutter Just $1.91 + FREE Shipping! You are here: Home / Great Deals / Amazon Deals / Heart Shape Sandwich Crust/Cookie Cutter Just $1.91 + FREE Shipping! Heart Shape Sandwich Crust Cutter & Cookie Cutter Just $1.91 + FREE Shipping! Just found another deal on this, and it’s even BETTER than the one I posted last week! This would be cute for Valentine’s Day sandwiches and cookies!! 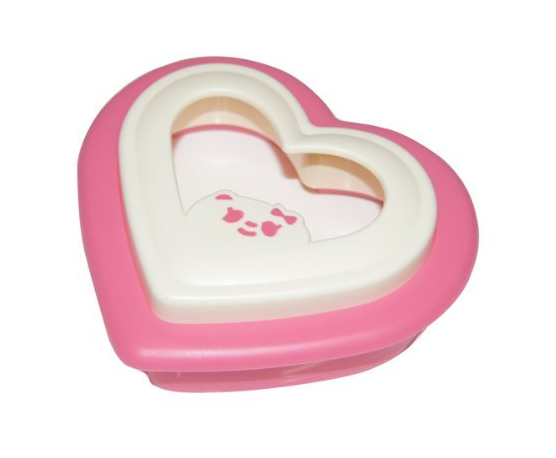 Grab this fun Heart Shape Sandwich Crust & Cookie Cutter for just $1.91 + FREE shipping!